The Daytona 500, the Superbowl of racing as it was called so many times on the video that I watched about this race track, "The Daytona 500: 50 years of 'the Great American Race'". It was the longest one built at the time, 2.5 miles long. Before it was built, race cars were run on the beach in Daytona Beach, Fl. The racetrack was built by William H.G. France. The message that I came away with from this video is to be a winner of the Daytona 500 is to be among the elite class of car racers. It's 500 miles to win the race and a lot of things can go wrong along the way but that makes the victory even more sweet. According the video, the Indianapolis 500 may be big but in the racing circles it is the Daytona 500 that gets the most admiration. I think its because of the challenge of the race track being so long and the fact that the track goes up at a angle on the corners, 31 degrees to be exact. For the novice that has never really been into car racing all that much I now have a new appreciation for this race and all of the references that are made to it in the movie Cars by Disney. I hope that you also learned something and enjoyed this post. p.s. Here is a link to Nascar's history page about the Daytona 500 if you want to know more. 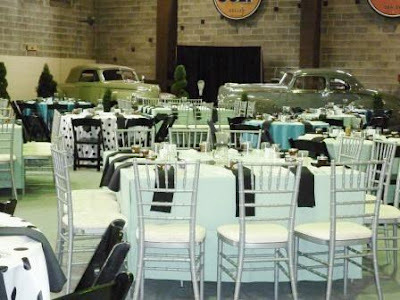 Everything was very busy this last Friday at LeMay - AMERICA'S CAR MUSEUM, our Volunteer and Event Coordinator was getting married on Saturday and the Museum was alive with volunteers and staff making sure that everything went just right at the reception that she would have at the Museum. I was amazed at the results. The Museum is in the middle of renovating, one of those areas being the gym, so it was great to see how beautiful it can look. 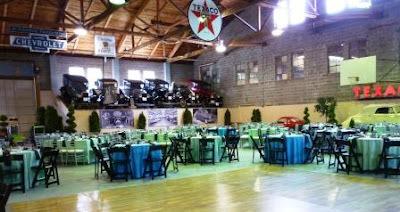 Here are a few pictures that I took of the gymnasium and the great classic cars from the Museum's collection that were there. 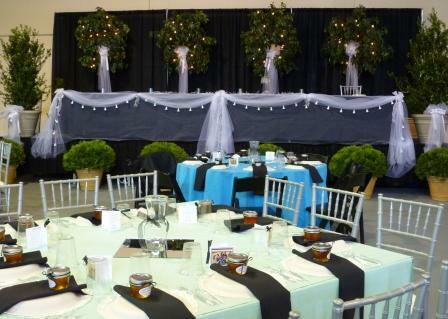 I was pleasantly surprised at how amazing the place looked and I was so happy that it turned out so well for our coordinator. Hope you enjoyed the pictures of how the Museum looked and the classic cars. Click here: for more information about having a event at the Museum or call 253-536-2885, tell them Amber sent you. Originally made in Milan, Italy by a company named Iso and designed by a man that made refrigerators, the BMW Isetta is a very unique car. BMW from Germany bought the license to make the car and then made a few improvements. 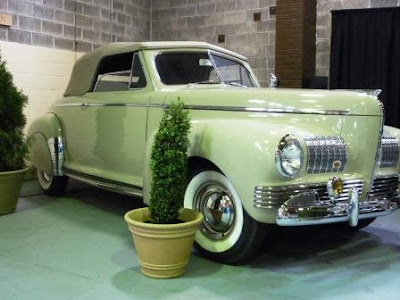 It was made just after World War II (launched in 1955 to be exact) and although I don't know the exact selling price it was suppose to be very affordable. I remember the first time I saw the BMW Isetta at LeMay - AMERICA'S CAR MUSEUM, I looked with fascination and gave a little chuckle. It is such an unusual car with the door on the front of the car with the steering wheel attached to the door. I found it interesting that they advertised the car as a family vehicle and I have watched some early footage of them squeezing in a man and wife with a child all into the front seat might I add! 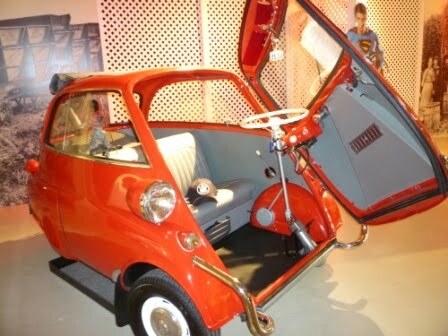 The Isetta contained a 13 horse power motorcycle engine and it can go up to around 50 mph but the video that I watched stated that it was also a scary 50 mph. The car was four wheeled in Germany but the English version was three wheeled to avoid the car tax and instead be taxed as a motorcycle. 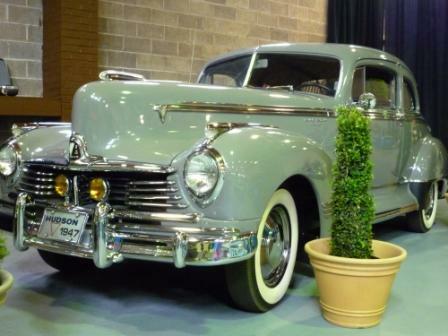 The USA version has silver side bumpers like the one featured here because they passed the US standards for bumpers. 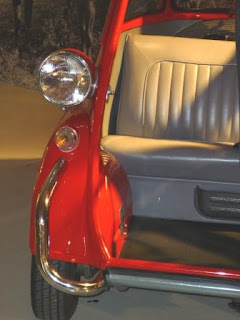 www.microcarmuseum.com - Be warned though this website is very addicting! Here's a fascinating video on the Isetta done by BMW Web TV on youtube including what seems to be a original commercial that the company used. Isettas - they are fun, cute, adorable, compact, unique and very valuable! On Saturday I went to the Puyallup Spring Fair to Auto Alley, which contained classic cars representing LeMay- America's Car Museum, the Corvette Club and GoodGuys. It was great getting to see some classics and take pictures. I got to meet a lot of classic car enthusiasts and got to see people's love for automobiles in action as people looked at the classics and talked about good memories from times pasts and fathers or grandfathers pointing out different points of interest on the different cars to their family members. 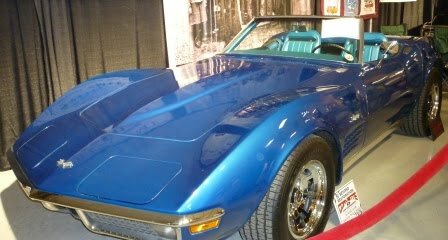 "I'm in love..." I heard a girl said to her friends as she walked past to look at a 1970 Blue Corvette Stingray. I can't say that I blame her because it was a mighty fine looking car. 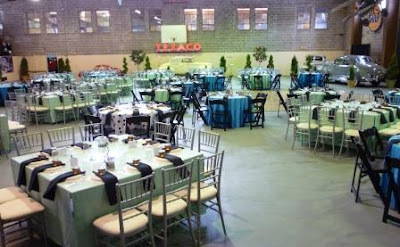 Here are a couple of pictures from the event, enjoy! 1970 Corvette Stingray- Elvis drove a 1959 version of this car in the movie, Clambake. 1959 BMW Isetta - Isn't it adorable? 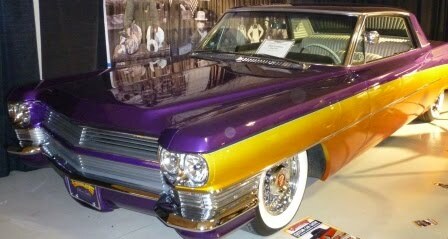 1964 Cadillac DeVille - A paint job just like Ramone's from the Disney Movie Cars! 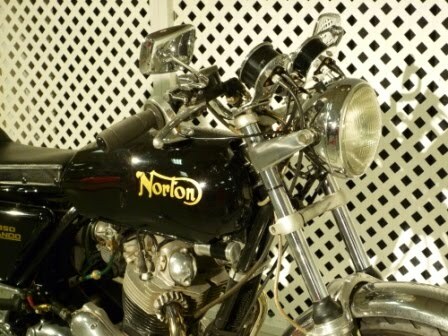 1973 Norton 850 Commando - It looked like a blast to ride! There are perks sometimes when befriending volunteers that have cars in the show! * Remember* - Don't do this without special permission from the owner of the vehicle. It truly was a blast and I look forward to more car shows this summer! The Classic car novice: How this blog came to be. My name is Amber, I volunteer at LeMay - America's Car Museum, something that I started as a intern in their public relations and marketing department while finishing up my bachelors degree at the University of Washington, Tacoma and because I enjoyed learning about classic cars and liked the Museum so I continued afterwords. 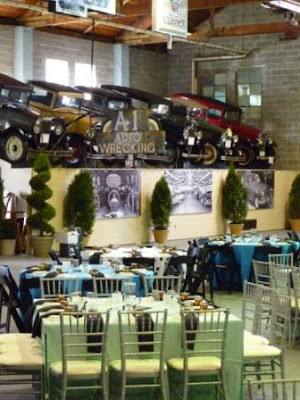 Before I was introduced to the Museum, I had never really been all that into cars other than the look of a car. It never occurred to me that so many have great stories, histories and that some of them really are marvelous machines. 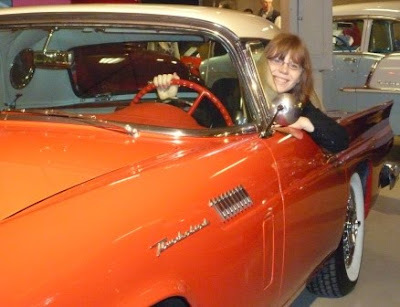 However, I got excited about classic cars and the histories and stories behind them after I took the tour at the Museum before I became a intern. 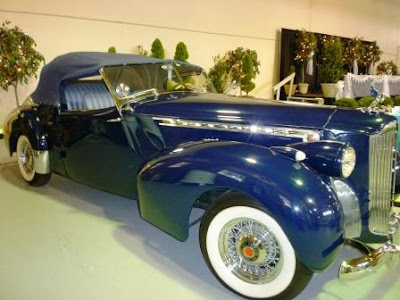 It fascinated me to hear that these cars weren't just a piece of machinery but that they had great stories behind them, fascinating history that surrounded them, and some interesting mechanical features. 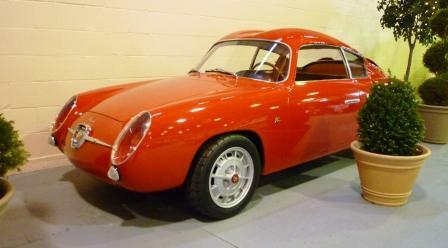 That is what this blog is about, my journey into the wonderful and fascinating world of classic cars. I hope you enjoy and learn something from it.